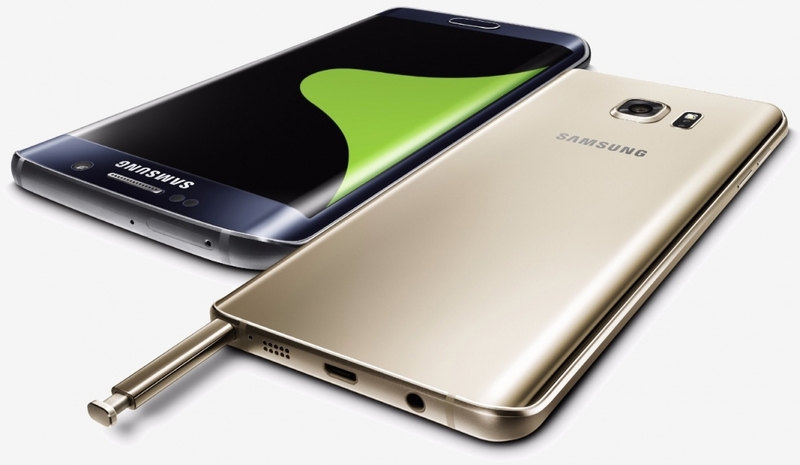 Samsung on Thursday pulled back the curtain on two new flagship smartphones, the Galaxy Note 5 and the Galaxy S6 Edge+. Both handsets borrow heavily from the Galaxy S6 in terms of styling and design and considering that was Samsung’s best-looking device to date, that’s not a bad thing. The two new devices are essentially identical under the hood. Both are powered by Samsung’s own octa-core Exynos 7420 SoC which consists of four cores clocked at 2.1GHz and four at 1.5GHz alongside a whopping 4GB of RAM (the Galaxy S6 only had 3GB). The duo also share a 5.7-inch AMOLED display with a resolution of 2,560 x 1,440, a 16-megapixel rear-facing camera with optical image stabilization and 4K video recording capabilities and a 5-megapixel selfie cam. Local storage options start at 32GB and scale up to 64GB and 128GB for those not keen on keeping things in the cloud. The main difference between the two is that the Note 5 has a flat screen, an S-Pen and a curved backside while the S6 Edge+ utilizes a curved screen along the right and left sides (just like the S6 Edge), doesn’t come with an S-Pen and has a flat backside. As was the case with the S6, both forego plastic building materials in favor of aluminum and glass. This of course means that the 3,000mAh battery isn’t removable and storage can’t be supplemented by removable media. Pre-orders for both devices will open this afternoon at 3pm Eastern with units set to go on sale in the US and Canada on August 21.